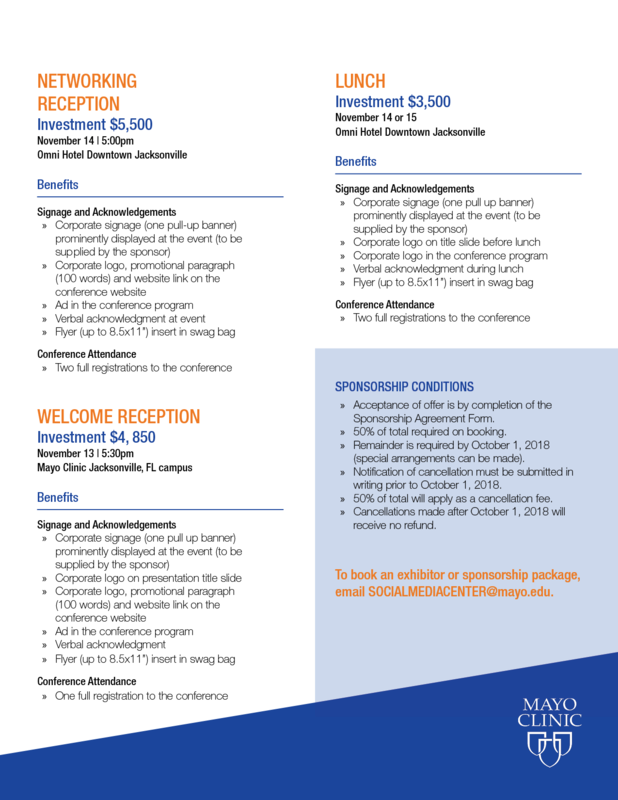 For the first time ever, we are offering sponsorship and exhibitor packages for the annual conference. We are looking for the right kind of partners to showcase their expertise, tools, or solutions to enhance the conference experience for attendees. If you have questions or would like to book an exhibitor or sponsorship package, email SOCIALMEDIACENTER@mayo.edu. Acceptance of offer is by completion of the Sponsorship Agreement Form. 50% of total required on booking. Remainder is required by October 1, 2018 (special arrangements can be made). Notification of cancellation must be submitted in writing prior to October 1, 2018. 50% of total will apply as a cancellation fee. Cancellations made after October 1, 2018 will receive no refund. 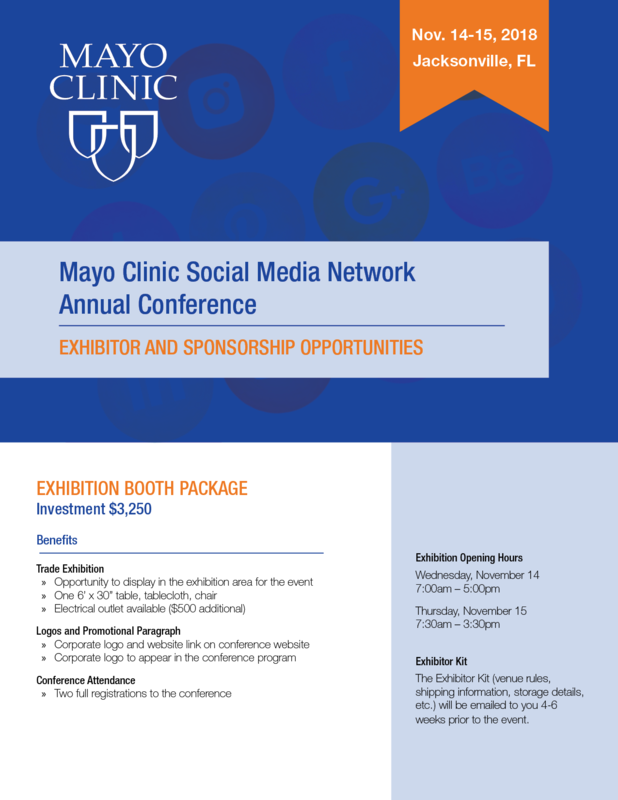 To book an exhibitor or sponsorship package, email SOCIALMEDIACENTER@mayo.edu. How can the MCSMN conference in November be even better? With your sponsorship! Planning to attend the MCSMN Conference in November? Why not consider being a sponsor as well? Want to to showcase your expertise, tools, or social media solutions at the MCSMN conference in November? Here's your chance!